Following the announcement of the North Wales Road Race Series 2017 back in December – the places are starting to fill up . Check availability and enter using the British Cycling portal – however here are the current standings. “Thanks to all those riders who have entered the 2017 North Wales Road Races so far. It’s much to my surprise that the first race is now full with a total of 6 riders on the reserve list so far. Be sure to subscribe to the NWRR Facebook Group to ensure you have the most up to date information. Maps for the various routes can be found below. North Wales Road Race 2017 Announced. After the huge success and positive feedback from last years VC Melyd North Wales Road Race Series – we are proud to announce that this will be returning for 2017 with cooperation from Ynys Mon Race Team. The following release was made last week by our Road Race Secretary Simon Parkinson. “Please see below dates for next year’s races in North Wales that VC Melyd will be hosting in 2017. We have teamed up with Ynys Mon Race Team to put on a 2 day weekend of racing in June. Ynys Mon Race Team put on a fantastic race last year on the Llangefni Circuit, Anglesey. The following Strava routes for the courses were released a few days later on Saturday the 17th December 2016 over on the NWRR Facebook Group. With the North Wales Road Race series now completed – we have seen a number of write ups recently – thank you to everyone who has taken the trouble to contribute, whether that be through volunteering, taking part, taking pictures, or writing content. 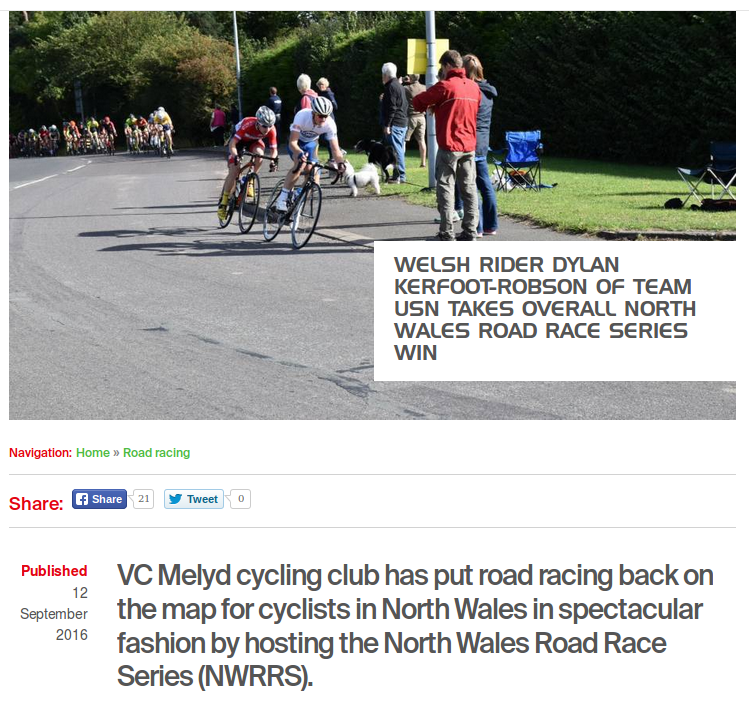 The prestigious North Wales Road Race (NWRR) from VC Melyd is back again next month for it’s fifth round. Returning to Denbigh – watch the NWRR FB page for updates. “We’re back on the Denbigh circuit for the final round of the NWRR series. Some might be thankful to be back on a flatter circuit after the last 2 tough rounds. I’ve started to accept entries on BC website and they are due to close on the Thursday before the event. It’s tight in the series for the overall and team result.“ — Simon Parkinson. 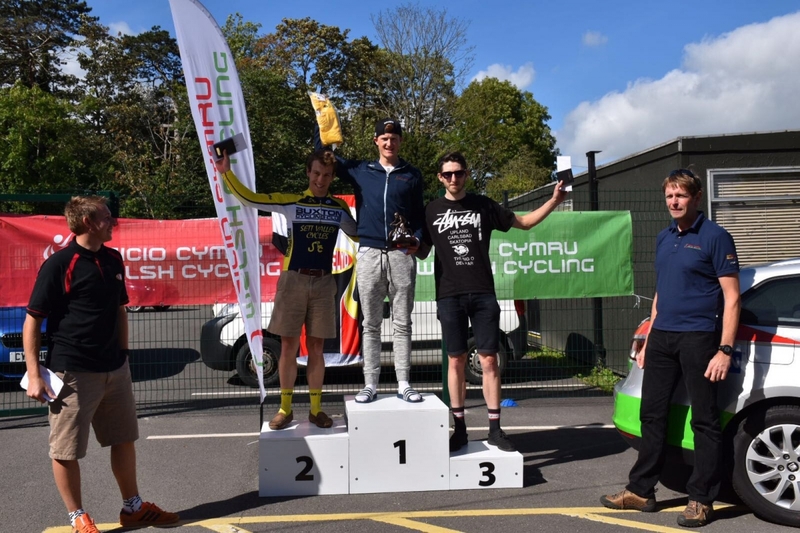 Following up on the success of this last weekends North Wales Road Race Series – round 4 from Llyn Brenig – we have results for round 4 for both this round, and overall for the NWRR series 2016. You may wish to look over these two write ups / reports of the event from two other points of view – one from our local Jack Nash of MTRT’s – and the another fantastic write up by Nick Pulling of Team Chronomaster. Great to see such good racing, and acknowledgement of the club’s efforts. Well done all. “Thank you to the event organisers VC Melyd for putting on such a fantastic race series held on spectacular roads. I will be racing the fifth event in the series in a few weeks and will definitely back next year to race in the series.” — Nick Pilling. 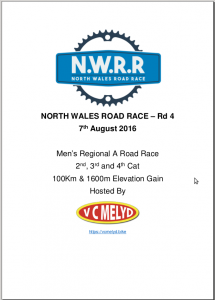 The North Wales Road Race series (NWRR) is already into round 4. The NWRR 4 route is available now on Strava. 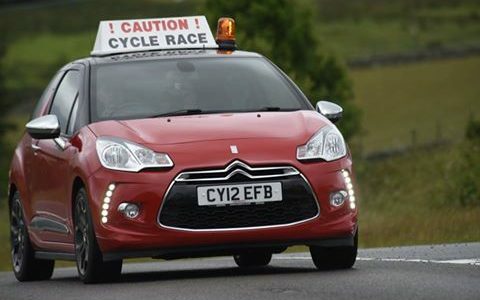 Thank you to our Road Race secretary Simon Parkinson for getting this up and available. More details as they come available. Here are the results following Round3 of the North Wales Road Race series. Things are looking exciting for the next 2 rounds of racing. The overall series winner will take home £250 and the winning team will take home £125. The full set of results are attached.